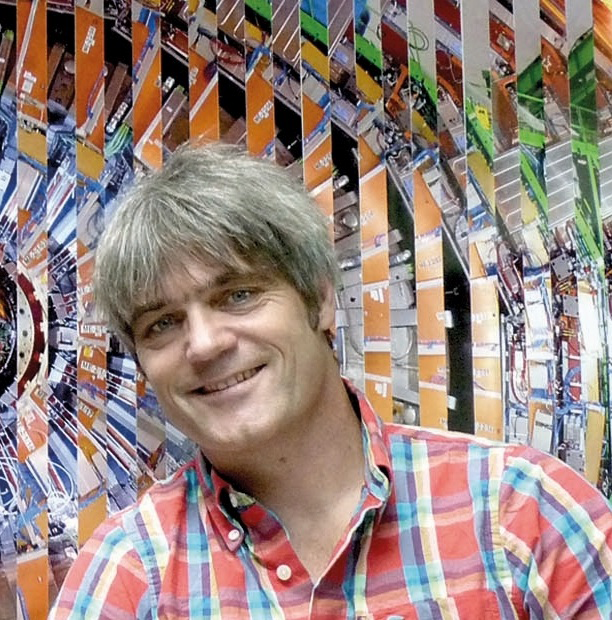 James Beacham, CERN Friday, 30 November, 06:00-07:00 p.m.
Dr. James Beacham searches for answers to the biggest open questions of physics using the largest experiment ever, the Large Hadron Collider at CERN. He hunts for dark matter, gravitons, quantum black holes, and dark photons as a member of the ATLAS collaboration, one of the teams that discovered the Higgs boson in 2012. 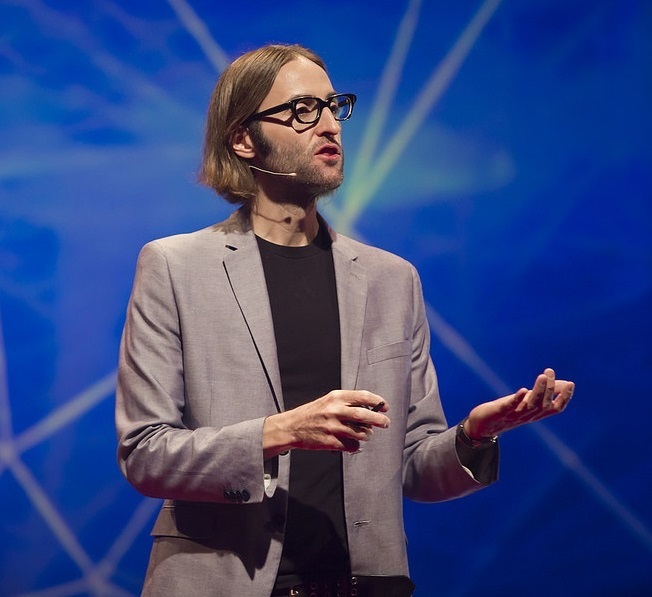 In addition to his research, he is a frequent speaker at sci/tech/art events around the world, including the American Museum of Natural History, the Royal Institution, SXSW, and the BBC. His talk, “How we explore unanswered questions in physics”, was featured on TED.com and has been viewed nearly 1.5 million times. He contributes to podcasts, radio shows, and documentaries, and has been featured in The New York Times, Wired, and Gizmodo, among others. Beacham trained as a filmmaker before becoming a physicist and regularly collaborates with artists. In 2015 he launched Ex/Noise/CERN, a project exploring the connections between particle physics and experimental music and film. Michael Hoch, CERN Friday, 30 November, 07:00-08:00 p.m.
“When I started to exhibit my work, I noticed that art can help make complex scientific issues understandable. And that inspires curiosity about the big questions of mankind—even in societal circles that are not especially scientific. Artistically, I can only show my personal viewpoint. I reconciled this with my scientific side by inviting other artists to take part in the CMS Experiment. That’s how art@CMS came about,”photographer and CERN particle physicist Dr. Michael Hoch said in an interview with Whitewall Magazine. He has now expanded the concept of art@cms to the ORIGIN Network, (a collaboration including CERN based experiments: CMS, ATLAS, ALICE, LIGO/VIRGO, and the Muographers). In this talk, he will discuss how art@cms and the Fine-Art Muographers, soon to be joined by other art/science partnerships in the ORIGIN Network, enable professional artists, high school artists and college student artists opportunities to interact with and become inspired by particle physicists. Dr. Michael Hoch is an Austrian born scientist, artist, photographer and founder of art@cms and the ORIGIN Network. He has created artworks that have been part of several solo and group exhibitions and museum exhibits worldwide including: the Natural History Museum (Vienna), Deutsches Museum (Bonn), Ontario Science Centre (Toronto), and more recently in the Tama Art University Museum (Tokyo) to participate in the exhibition ‘Answer From the Universe: Vision Towards the Horizons of Science and Art Through Muography’. He won 2017 European Physical Society’s outreach prize for initiatives highlighting the conceptual and physical beauty of high-energy physics, and the inspirational qualities that are common to both Art and Science.